Confidence Boosted | Run, Lindsay, Run! Maybe it was the warmer weather. Maybe it was the fact I was wearing shorts. Maybe it was the tasty veggie burger/avocado wrap I had for lunch. I’m not sure what made it happen, but I had an awesome tempo run in Central Park last night that really boosted my confidence. I’ve been a bit run-down and lethargic ‘low-iron’ feeling as of late. I’ve started to doubt my goal of running under 1:28 for the half, since maintaining a 6:40 pace for more than a few miles has been a struggle lately when I do my weekly treadmill workouts. Last night after work, I geared up and headed to Central Park for my ‘go-to’ 5.1 mile tempo loop– 3 times around the lower loop of Central Park, each 1.7 miles. I love this loop because it has a nice mix of slight inclines, flat, and downhills. No mile is really harder or hillier than another. It’s also a bit more packed with other runners which I like, because it helps to distract my thoughts from the road when I try to pick off runner by runner. I went into this workout planning on running the first loop comfortable, pushing through the second a bit faster, and giving whatever I had the last loop. I always try to finish strong at the end of a workout, as I want to simulate that ‘kick‘ in races, but too often I am guilty of going out hard because it feels good and then dying at the end. Overall, I had hoped this effort would be at 6:45 pace or so. As soon as I started, I felt awesome and strong. I was a little freaked out after seeing my first mile split (too fast!) but after I was still comfortable in the 2nd mile, I stopped fearing the idea of dying at the end and went with it! 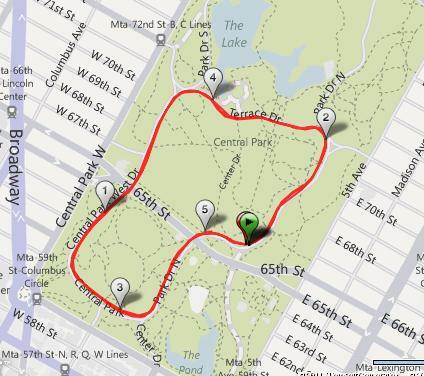 The first time I ran this loop, my overall time was 35:07 on 9/7 as I was training for the marathon. I thought I was a rockstar when I was able to run 2 miles at 6:40 pace, take a break, and then push through 3 more miles at 6:40 pace last week! 5.1 miles at 6:30 pace? How am I going to make it through 8 more miles in the race? 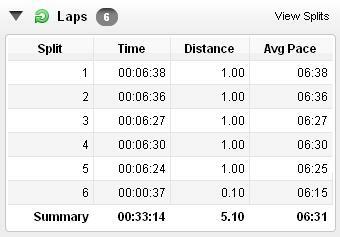 In college, I’d run 6:15 pace for a 4 mile tempo, and 6:40 pace for an 8 mile tempo (those were rough)- 6:30 for 5 miles isn’t that speedy. What if this was a fluke because the weather was nice? What if race day is cold, windy, rainy, etc.? If I felt like I could keep going at the end, why didn’t I push myself harder? I snapped out of it and dismissed those negative thoughts and focused on the positive. Three minutes before, I had felt great about what I achieved, until I tried to put it into perspective against my former college self, or equating my workout effort to a race effort. Sometimes, you just need to feel GOOD about what you do in this moment. I need to stop over-thinking or analyzing it, and take the confidence boost when I can! 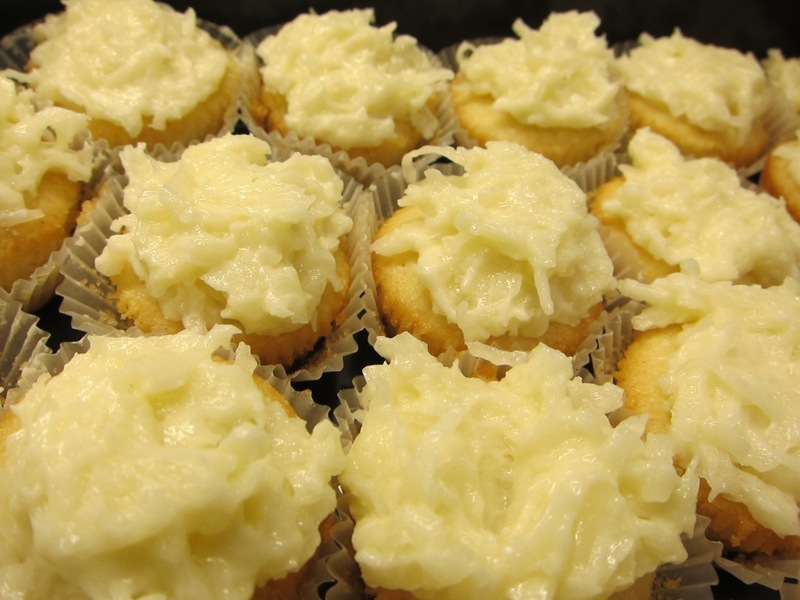 And then I came home and baked delicious mini lemon cupcakes with coconut frosting! Sugar Carbs are perfect post-run fuel, of course. I am going to a wine tasting party tonight and each of the guests are in charge of bringing a dish– of course I chose to bring dessert 🙂 Did you know today is Drink Wine Day? Happy to do my part and celebrate! What boosted your confidence this week? Do you struggle with negative thoughts, and how do you dismiss them? Surprises and Stir-Frys « Run, Lindsay, Run!